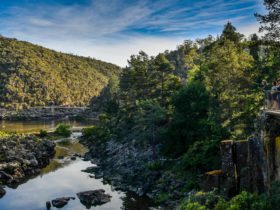 Tasmanian Safaris; Take a footstep further and go beyond the scenery with a tour that allows time to explore, rather than just snapping a picture and driving away. 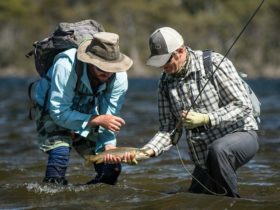 Specialising in taking small groups on active holidays, Tasmanian Safaris provide authentic tours that capture the essence of the amazing locations we visit. With multi day safari tours, short breaks and even canoe tours. Accommodation covers comfortable camps to cosy cabins, and are more connected to nature than any hostel can offer. We take pride in out tours, and have over 15 years of experience satisfying thousands of individuals and families alike. Enjoy good quality local food, share a laugh by the fire and watch the abundant wildlife. We run low impact and sustainable tours. Our new camps feature large canvas tents on wooden platforms. We and are proud to have achieved the Advanced Eco-tourism and Green Travel Leader accreditations. 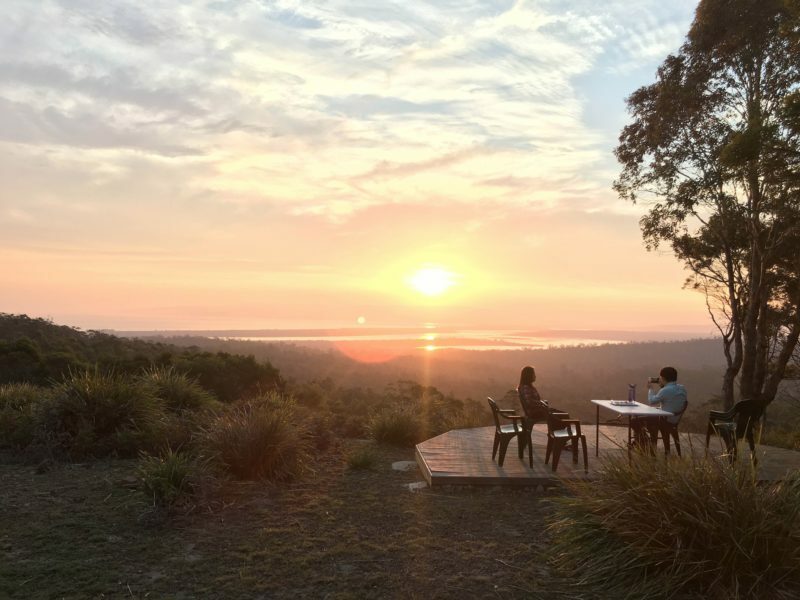 This tour starts and finishes in Launceston, 5 days and 4 nights canoe and walking tour with nightly accommodation in basic cabins or exclusive platform tent sites. This tour takes in some classic destinations as well as some little know gems. A great mix of walking and time spent exploring the serene waterways. We use special “Hobie” brand canoes with special mirage drive. These ingenious devices allow you to use your legs to peddle the kayak along and use your hands to steer. This means you don’t need experience to enjoy the journey, even when using a double you don’t have to synchronise your paddle stokes – so now there is no excuse to not get out there. A full day is reserved for exploring Freycinet Peninsula’s longer walks where we’ll climb up through the Hazards to view magical Wineglass Bay or walk the whole circuit. Moving on further south for our last night’s camping we will show you the Tasman Peninsula’s giant sea cliffs and many natural wonders along the way. Want to discover the best of the famous Cradle Mountain? Over two days we explore the park by foot with an option for many other activities such a canoeing on the lake or canyoning the spectacular rivers in the park, or simply watching the wildlife. To complete the experience we camp in comfortable canvas tents at a nearby property where we can have a fire in the evening as we cook a hearty meal and get ready for more adventure the next day. 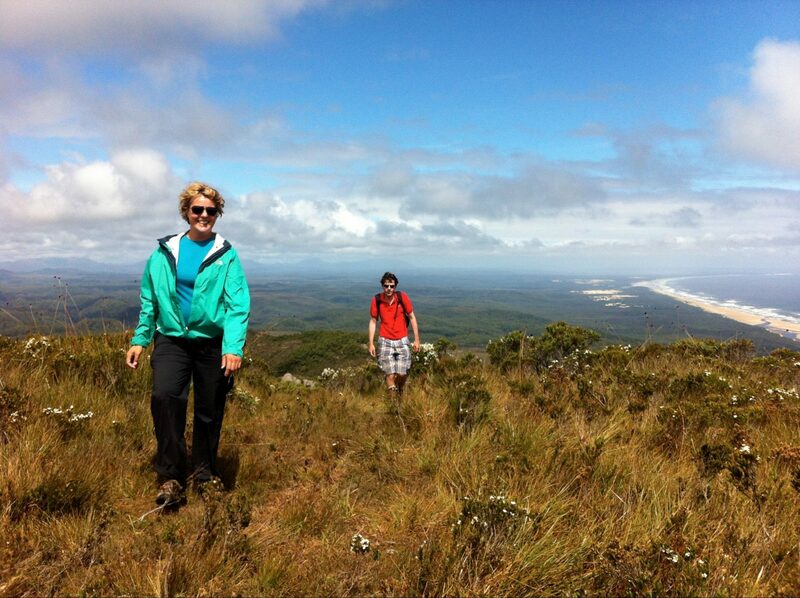 The five day Safari Camp and Walking Tour departs from Launceston to Hobart. Experiencing Tasmania’s mild side, exploring the sunny east coast, camping out in comfortable canvas tents in great locations and of course watching the wildlife. We visit some amazing cool temperate rainforests and wonderful waterfalls. Continue down the east coast with arguably some of the world’s best beaches at Bay of Fires. A full day to explore Freycinet Peninsula where we’ll climb up through the Hazards to view magical Wineglass Bay or walk the whole circuit. A visit to the Tasman Peninsula is our next destination with sea cliffs and secluded beaches that have to be seen to be believed. Stay away from the crowds, enjoy a hike and relax with a camp fire dinner under the stars. Each day we participate in bush walks from one to five hours and travel by mini bus or four wheel drive. Each night we experience bush camping and delicious meals with campfire cooking. When we camp, we use tents or you can sleep under the stars and we supply cosy swags. We see and appreciate Tasmania’s unique wildlife in the wild. This tour starts in Launceston and finishes in Hobart. Three days and two nights Camping and Walking Tour. 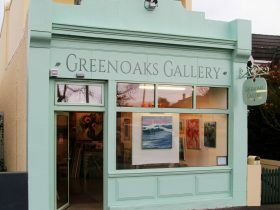 In three adventurous days on the East Coast we visit the amazing lookouts in the Fingal Valley, stroll along white beaches. At Freycinet Peninsula where we’ll climb up through the Hazards to view magical Wineglass Bay. Tasman Peninsula and it’s giant sea cliff are a must see. 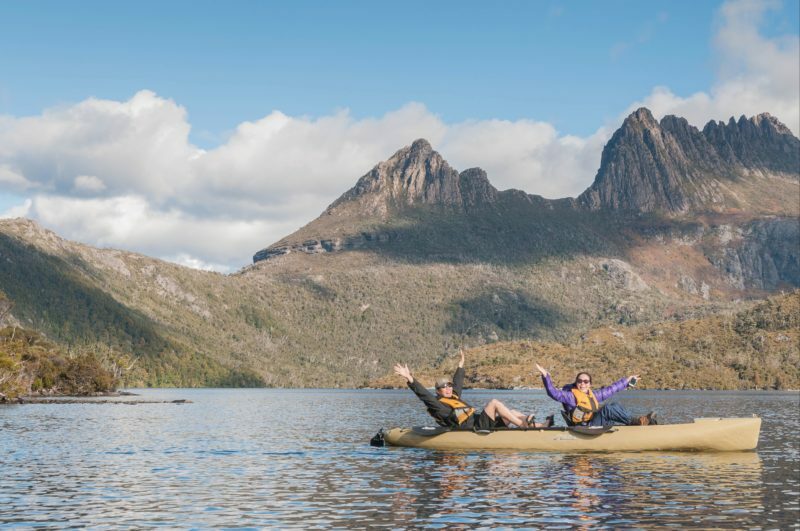 If you really want to experience the amazing variety of Tassie’s mild side we recommend this three day tour exploring Tasmania’s scenic, sunny east coast beaches and towering cliffs. Stay away from the crowds, enjoy a hike and relax with a camp fire dinner under the stars. Each day we participate in bush walks from one to five hours and travel by four wheel drives or mini bus. Each night we experience bush camping and delicious meals with campfire cooking. When we camp, we use tents or you can sleep under the stars and we supply cosy swags. We see and appreciate Tasmania’s unique wildlife in the wild. 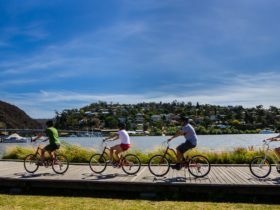 Take to the Launceston waterfront and explore with a short one hour guided tour of the Tamar River on Hobie pedal powered canoes. The unique Mirage drive foot powered flippers let your legs do all the hard work while your hands are free to steer and take photos. Tours depart daily by arrangement.